There are so many ways to build up trust for your online shop, whether that means building a modern, user-friendly design or being more transparent with your shipping times. We've compiled some great tips for you to consider if you're building or redesigning your shop so that your potential customer becomes a repeat customer! 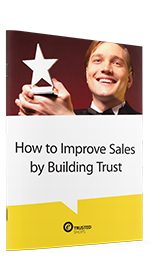 Download this free white paper now! © 2019 TRUSTED SHOPS GmbH. All rights reserved.